The Cherokees were once a mighty and powerful nation. At the time when the Cherokees came into first contact with the white man (DeSoto in 1540), they claimed 135,000 square miles of territory covering parts of eight states; North Carolina, South Carolina, Georgia, Alabama, Tennessee, Kentucky, Virginia and West Virginia. By the end of the Revolution the Cherokees had lost about half of their land. Between 1785 and 1835 the Cherokee lands has shrunk to a few million acres. By the treaty of New Echota in 1835, all lands east of the Mississippi were ceded to the Federal government. (Of the 40 treaties executed with the Cherokees, the Federal government chose to break each and every one.) Under Article 12 of this Treaty, as amended, provided that such Cherokees as were adverse to removal could become citizens and remain in the State of North Carolina (about 1,200). The status of those who remained in the state was anomalous. Their connection with the main of the Cherokee Tribe which had removed to lands west of the Mississippi were severed. They became subject to the laws of the State of North Carolina while not admitted to the rights of citizenship. Any,y inter.interest in the lands formerly held by the Tribe in North Carolina had become divested by the Treaty and even their rights to self-government had ended. North Carolina later granted a charter to the Cherokees authorizing them to exercise limited powers of self-government Pressure to force removal of this remnant of Cherokees continued. Funds due them were withheld by the United States Government unless they would remove to the Indian Territory or, would secure an act of the Legislature of North Carolina permitting them to remain permanently within the State. A statute was passed in 1866 granting this permission. By the purchases of an agent, the Eastern Band of Cherokee Indians had acquired the right to possession of a t,act of land in North Carolina, and by the North Carolina Statute of 1866, they had acquired, with the approval of the United States Government, permission to remain in the State. Many lawsuits followed and continued until the conveyance of title to lands of the Eastern Band as a corporation to the United States in 1925. 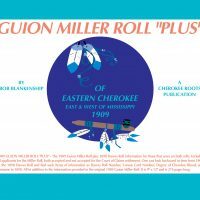 The lands now held in trust by the United States Government for the Eastern Band of Cherokee Indians comprises 56,572.80 acres of which is scattered over five counties and consists of 52 tracts or boundaries which are contained in 30 completely separated bodies of land. All of the land is held in common by the Tribe and possessory holdings are issued to individuals. The Council of the Eastern Band of Cherokee Indians determines the management and control of all property, real and personal, belonging to the Band as a corporation. To be considered a reservation, a land area would have to have been owned by the Government and set aside as a reserve for a specific use or purpose. 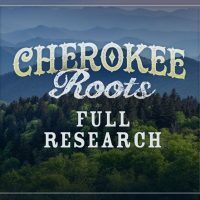 Lands of the Eastern Band of Cherokee Indians were never owned by the Federal Government, but, were purchased by the Indians and are held in trust as a corporation with the United States Government. Not belonging to the State of North Carolina nor to the United States Government, the Eastern Band of Cherokee Indians exists in the unusual status of a sovereignty within the United States. For the most part, the lands are mountainous with small valleys along the rivers and streams suitable for farming, business and recreational sites. The elevation varies from 1,718 feet to over 5,000 feet. Average last frost dated April 11; average first frost dated October 23; average rainfall 47.28 (1950-58); average temperature 54 degrees. The latest official enrollment was conducted in 1974. 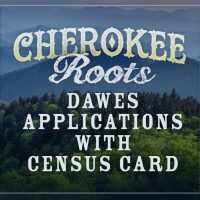 There were 8,381 enrolled members with 5,550 living on Eastern Band of Cherokee Indians lands and 2,831 residing off Eastern Band of Cherokee Indians lands. This government consists of the Tribal Council and the Executive Department. The Tribal Council has 12 members which are elected for two-year terms, two coming from each of the following townships — Big Cove, Birdtown, Painttown, Wolftown and Yellow Hill and one each from the Cherokee County and Graham County tracts. The Tribal Council elects its own officers, including a chairman, a vice-chairman, both Indian and English clerks, an interpreter, a marshall, a messenger, a janitor and an administrative manager. The Executive Department consists of a Principal Chief, a Vice Chief, and an Executive Advisor. The Principal Chief and Vice Chief are elected for four-year terms by those Tribal members 18 years of age and over. The Executive Advisor is appointed by the Principal Chief and his appointment is confirmed by the Tribal Council. In exercising its numerous and complex responsibilities, the Tribal Council relies extensively on the work of committies ties appointed to work in specified areas. The Tribal Council is basically a legislative body; however, their authority to manage and control the property of the Band, also places them in the position of carrying out judicial functions, especially in relation to land matters. The Executive Department also functions as an Executive Committee under the direction of the Principal Chief. It is charged with carrying out the rules, regulations, and other actions of the Tribal Council and keeps the Tribal Government functioning on a day-to-day basis. CHEROKEE TRIBAL COMMUNITY SERVICES — CTCS Administrative Office, Police Department, Fire Department, and Sanitation Department. TRIBAL ENTERPRISES — Cherokee Tribal Water and Sewer Enterprise, Fish and Game Management Enterprise (includes Mingo Falls Campground), Boundary Tree Motor Court, Boundary Tree Service Station, Boundary Tree Dining Room, Boundary Tree Restaurant and the Qualla Civic Center. PROGRAMS — Tribal Planning and Development Program, EDA Title X, Indian Action Team, Business Development Office, Aid to Tribal Government Program, Comprehensive Employment and Training Act Program, Qualla Indian Boundary Projects–Office of Native American Programs, Head Start Program, Cherokee Follow Through Program, Tribal Health Coordination Program, Otitis Media Program, Cherokee Mental Health and Alcohol Rehabilitation Program, Community Health Representatives Program, and the Medical Aide Training Program. Education has long been the top priority for the Cherokees. After petitioning Congress for seventeen long years, the Cherokees now have a fine new high school which is funded and operated by the Bureau of Indian Affairs. Contributions to our Student Scholarship Fund have made it possible for a few of our Tribal Members to attend college. As trustee, the Bureau of Indian Affairs, U. S. Department of the Interior, maintains an Indian Agency at Cherokee. Its purpose is to help improve the economic and social conditions and to provide guidance in helping the Indians to help themselves. The BIA operates the schools, improves and maintains the roads as funds are available, operates the social welfare and extension programs, manages the timber resources, and generally oversees all matters relating to realty including the records, surveys, leases, business and possessory titles. 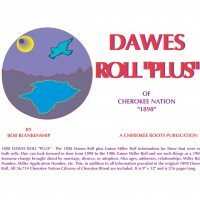 Direct Tribal income comes from the Cherokee lands through timber stumpage receipts and the lease of Tribal lands. A five percent Tribal sales levy is the only other main source of income. 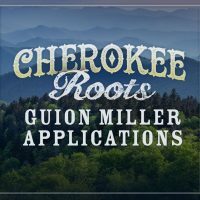 The present economy of the Cherokee people is based on the tourist industry which is seasonal, beginning in May and lasting until the end of October. There are over 212 small businesses which are primarily tourist oriented and are 63 percent Indian operated. Two light industries “The Cherokees” and “White Shield,” and the service industry “Cherokee Boys Club” provide year-round employment for about 300 Cherokees. A new industry, “Warrior Woodcrafts crafts” is in its early development stages. The Cherokees are a very industrious people. Nearly all occupy much of their time in the works of arts and crafts which are some of the very finest of the American Indian. They make baskets, pottery, beadwork, finger weaving, stone carvings, and wood carvings. Much of the old culture remains, consisting principally of non-material elements. Most, if not all, of the Cherokees speak or understand English, but the Cherokee language is taught in the homes and schools. Sequoyah’s syllabary which uses symbols for sounds instead for letters or words has made it possible for this language to be written and taught from text. Bean Dumplings, bean bread, chestnut bread and ramps are a few of the native foods which are still commonly eaten in Cherokee homes. Many still cling to the ancient lore and customs. They sing the old hymns in their own musical language. Some of the older women wear long full dresses and a bright kerchief tied upon their heads. Occasionally, one can see a baby tied on the back of a Cherokee woman. The Annual Fall Festival is the climax of the tourist season. This occurs the first week in October. Visitors are surprised to see the remarkable exhibits of arts, crafts and garden products. At this time the Cherokees present the old life with bow and arrow contests, blow gun contests, the old dances and what is the most popular sport-Indian Ball which is similar to Lacrosse, but really a mixture of all athletic games. Favorite attractions consist of the festivals, the “Old Indian Village,” the outdoor drama “Unto These Hills,” trout fishing and the newly completed Museum of the Cherokee Indian. Enter you or your ancestor's last name and first name (if known) - then click search. Best to search Surname only on first try.